Suppose you want to try the live roulette experience, but your screen is too small. With today’s technology, this can easily be the case, since screens are becoming smaller, though they are also becoming more dynamic. 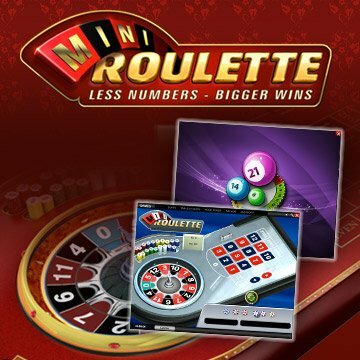 Since not all online casinos offer the ability to play live roulette on mobile devices yet, or on smaller screens, mini live roulette has been called for. This form of roulette provides everything that a regular live casino has to offer as well. A live dealer, the roulette wheel, the roulette table layout,; you name it. You almost don’t even notice the difference between regular live roulette, other than that it’s all a bit smaller than that you’re used to. In addition, it’s a full0featured live roulette game that you can play in a 200 pixel by 200 pixel window. 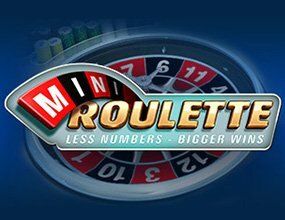 Mini Live Roulette is thus an online roulette temporary solution for the rapid changes that the technological improvements have brought. What’s better than live roulette in good quality on your mobile phone or tablet to keep you entertained on the go? Suitable for mobile screens, so wherever you are, you can enjoy live roulette. You can play multiple games simultaneously on one screen. This is quite unique compared to the possibilities of land-based casinos. Multi-play or multi-wheel roulette is offered by several different live roulette software providers. With Mini Live Roulette, you have a full-fledged interface that allows you to play roulette in an exhilarating way, without needing much room. At each stage of the game, the content of the screen changes and you will be offered exactly what you need to see. For example, when you need to place a bet, you will see the table layout, whereas when all bets are closed and the ball is spinning, the camera will focus on the roulette wheel instead. This way, you won’t miss out on anything because your screen is too small. You receive everything that you’d expect from a bigger screen, only smaller. Perhaps it’s a good idea to test whether mini live roulette suits you. We can imagine that you’d prefer to see everything in the larger proportions in order to get the real casino experience in the best possible way. Even so, we also understand that we are living in a world where you are more busy, and more capable of using mobile devices in your everyday life. Thus, in the moments that you can find some time to relax, you can make use of the Mini Live Roulette to play the stress of the day away. Either way, big or small, live roulette remains an unrivalled feature of the live casinos, and makes sure that the casino experience comes to you, rather than vice versa.